Ziegler, a specialty investment bank, is pleased to announce the successful closing of the $34,935,000 Series 2016, tax-exempt, fixed-rate financing for Canterbury Health Care, Inc., a new client to Ziegler. Canterbury Health Care, Inc. (the Corporation) was incorporated in 1991 as a Michigan not-for-profit corporation for the purpose of providing healthcare, housing and related services to the elderly. 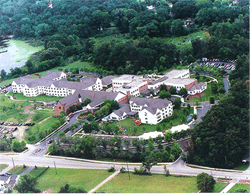 The Corporation currently owns and operates a 255-unit rental continuing care retirement community in Waterford, Michigan (which is approximately 40 miles from Detroit), known as Canterbury-on-the-Lake (COTL). Since 1995, COTL’s day-to-day operations have been managed by LCS. Currently, COTL is comprised of 75 independent living apartments, 40 assisted living units and 140 skilled nursing beds. In 2015, COTL’s Board authorized implementation of a Repositioning Plan that was conceived and will be implemented by Greenbrier Development. The Repositioning Plan consists of plans to construct and equip a new 24,500 square foot, single-story, 32-bed licensed assisted living memory care facility, construct a new enclosed two-story corridor structure connecting the new assisted living memory care building to the existing community center building, as well as renovate and resize the existing skilled-nursing facility to convert 24 semi-private beds into 12 private bed units, which results in a reduction of nursing beds (the Project). To avoid paying prevailing wage labor for construction costs resulting in more than $1 million in savings, COTL elected to issue the Series 2016 Bonds in three different series: (1) Michigan Strategic Fund in the amount of $14,700,000 (tax-exempt) for which proceeds will pay project costs, fund a debt service reserve fund and pay the cost of issuance; (2) Waterford Township Economic Development Corporation in the amount of $19,075,000 (tax-exempt) for which proceeds will refund outstanding bank loan, fund a debt service reserve fund and pay costs of issuance and; (3) Waterford Township Economic Development Corporation in the amount of $1,160,000 (federally taxable) for which proceeds will pay a portion of the costs to terminate the swap, fund a debt service reserve fund and pay costs of issuance. The new money and refunding components are amortized together to form level debt service. The MSF Series 2016 Bonds and the EDC Series 2016A Bonds amortize over 35 years until 2051. The EDC Series 2016B Taxable Bonds have a final maturity in 2020. The arbitrage yield on The Series 2016 Bonds is 5.008%.